An obvious benefit of B2B ecommerce is selling more product, but it can also be an effective way to boost SEO and global branding. Creating a B2B ecommerce portal highlighting the breadth and depth your products and services increases the number of overall web pages on your site and thus the number of pages accessible to search engines, notes Rilind Elezaj in an article for Multichannel Merchant. Those pages represent future business opportunities as well as sales. Another added benefit is improved transaction history management for both suppliers and customers, he notes. Customized portals can offer customers easy access to their browsing history, as well as transactions, shipping and tracking data. For B2B marketers, an ecommerce system can enable an easy view into what inventory is on hand and the number of orders coming in. Before creating a new B2B ecommerce initiative, brands should be clear on what they hope to to accomplish. For example, are you looking to shift existing customers online, or capture new business? 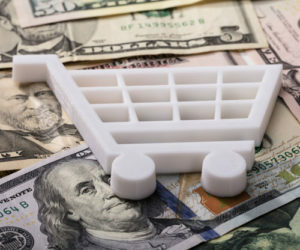 Other points to consider, says Bachalli, include whether you can shift your value proposition successfully online, whether you want to be a partner to an established platform like Amazon Business or strike out on your own, if you can effectively integrate your online and offline buying channels, and, importantly, the options to monetize your ecommerce presence. “B2B sellers need to put themselves in position to handle channel shift, capture incremental business, and more importantly, compete on the same level of some of the bigger online sellers pushing into the market,” says Bachalli.